The first outdoor flying event UK wise happened today at Old Warden and I have to say the weather gods couldn't have been kinder. It was cloudy and sunny in equal measures and although we started with a keen breeze, this dissipated by the afternoon leaving the aerodrome windsock hanging limp (rare). Lots of Rapier action today, some successful and some out of trim. So there was much re-trimming going on especially the people flying rubber models which seems perverse. But then, a few models actually left the aerodrome and some were lost at least until tomorrow when we re-assemble at the venue. Yes, I enjoyed it especially watching my build of Roger Simmonds' [Jetex.org] kit for the profile Delta Dart. After two disastrous trimming flights [getting the CG in the right place] I decided on some M*A*S*H surgery [getting the elevons in the right degree of uppiness]. This gave instant and gratifying results as the F-106 then soared into the aether. Thus I now have that feeling of mild [?] 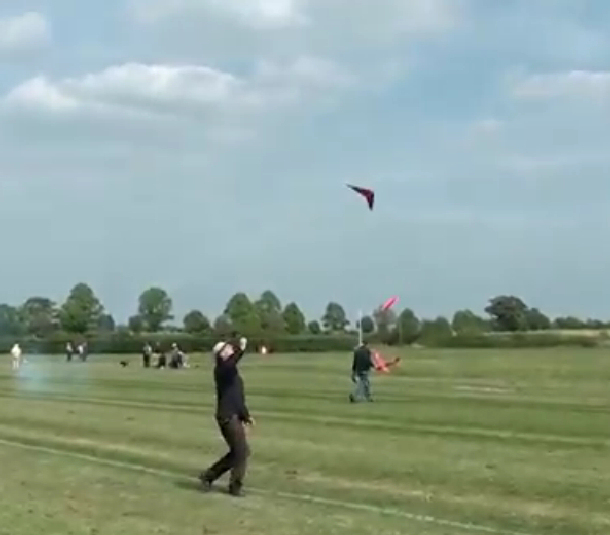 euphoria given by a good day's flying. My boat is floated. 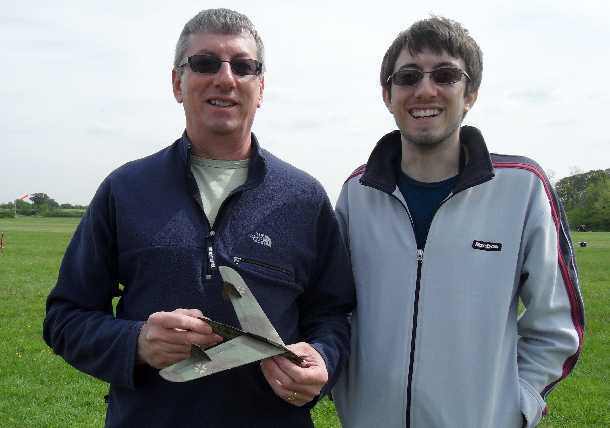 I've attached a couple of shots of; Chris Richards with his yellow FW Flitzer [for Rapier L-2] and one of yours truly holding Meredith Evans' tasty little XB70 Valkyrie. 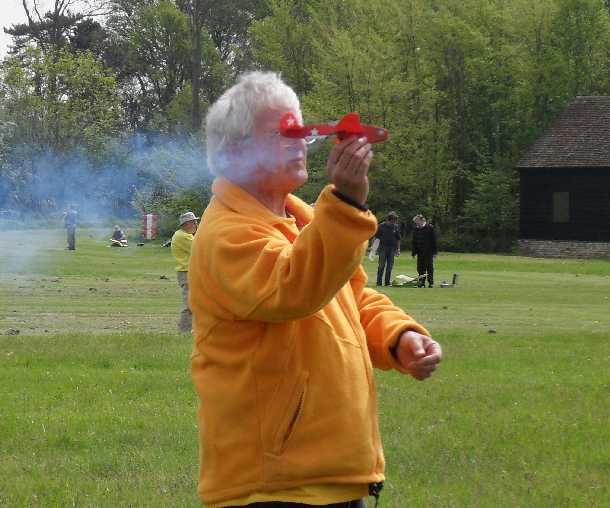 Check out [some of] Roger's aerodrome too. Above: Here I am with Meredith Evans Valkerie. Made the best flights we have seen for this ambitious design. Just a few profile models awaiting there moment of glory! Another bright but breezy day at Old Warden. Traditionally this has always been more popular than the Saturday with corresponding attendance by traders and public. For all the action that was happening you would need Marty Feldman eyes to take it all in, it was quite frenetic at times. 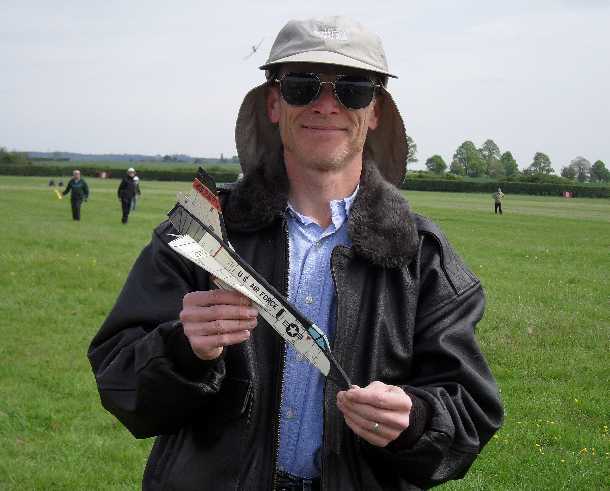 Again, seeing the Delta Dart and Viggen flying high and fast lifted my spirits and at the end of the day, Chris Richards and I went looking for his lost Flitzer and found it! Back from the hedge just in time to be dumped off the aerodrome at 4pm!!!!!!!!! I noticed the admission price hasn't been reduced to reflect the hours' deficit!!!!! Bahh humbug. However, I enjoyed the rest of it. Anybody else??? 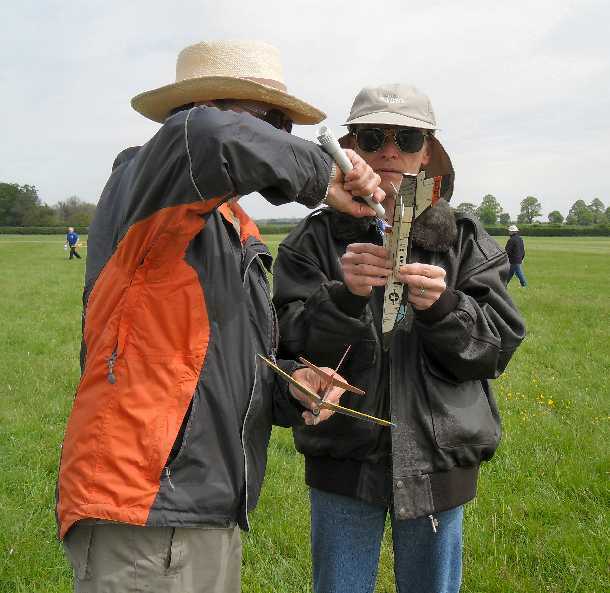 Old Warden, part of the Shuttleworth Trust, allows us aeromodellers to hold three unique meetings a year, where free flight, control line and radio control can take place at the same time. 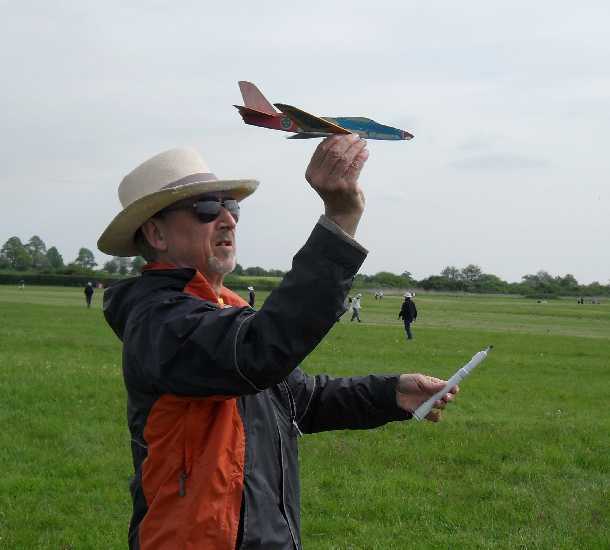 Historically, the OW meetings majored in free flight scale; these days many more modellers have gone over to the dark side of R/C, and there is a small but keen C/L group. We all seem to happily coexist, though I have noted some encroachment of R/C into the free flight area. All sorts of FF are represented - glow and Diesel sport, a goodly scale and sport rubber contingent, and of course us rocketeers! Ten years ago there were many more of us. Today, the loyal rocketeers are somewhat diminished, but our enthusiasm is undimmed. Present over the weekend included me (Roger Simmonds), Andy Blackwell, Chris Richards, Howard Metcalfe, John and Mark Digby, David Bott, Tony Brookes and others. 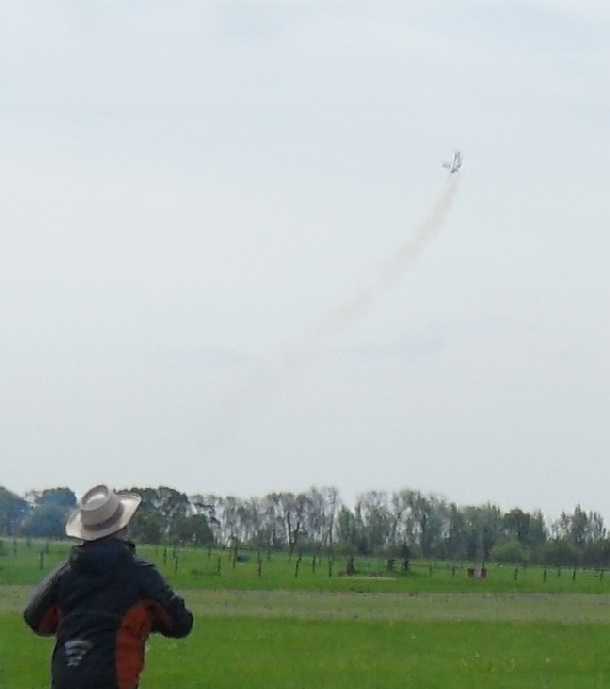 Many smoke trails were made in the splendid sunny and calm conditions and I think we impressed (shock & Awe) the bystanders. 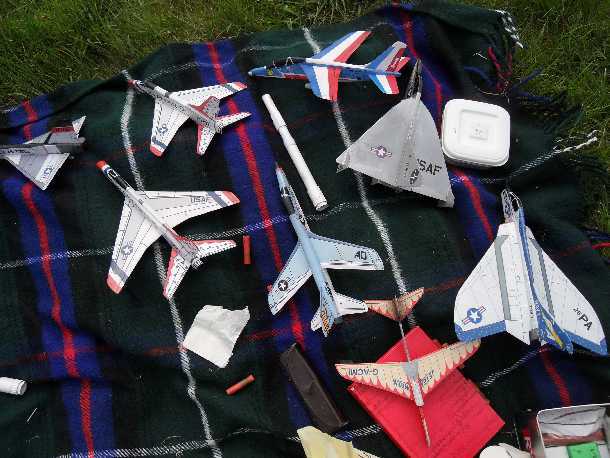 As well as flying old favourites like the Sea Hawk, Wren, Draken and Lansen (these are all very reliable) I was able to trim out my new Alpha Jet MiG-19 and F-106 Delta Dart. Andy also had an example of this latest from the Jetex.org stable, and it was flying at great speed, climbing majestically after low passes. As I said, ‘shock & Awe’. 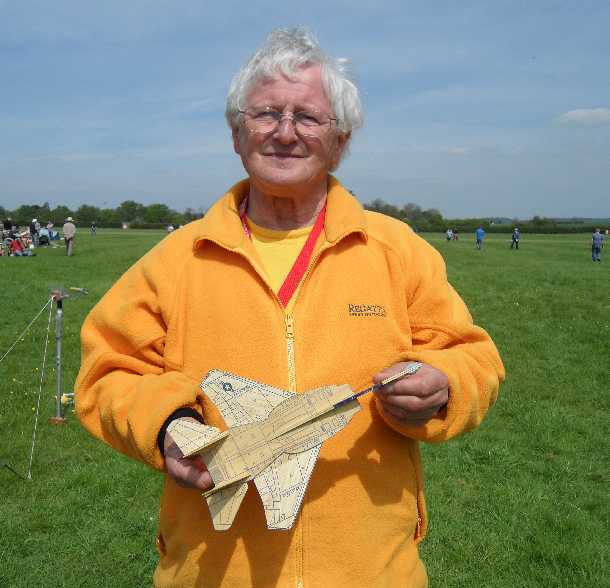 Chris Richards’ L-3 powered ‘Rocket Boy’ was also in this category, and I was especially pleased that Rog Smith had a fine flight with his Swift, and Dave Causer’s Venom made a couple of good flights. This is a tricky prototype and Dave’s is the best I’ve seen. The good news is that our motors behaved themselves: the latest L-2s gave many good flights (perhaps they behave better when they are warm?) and failures were few. 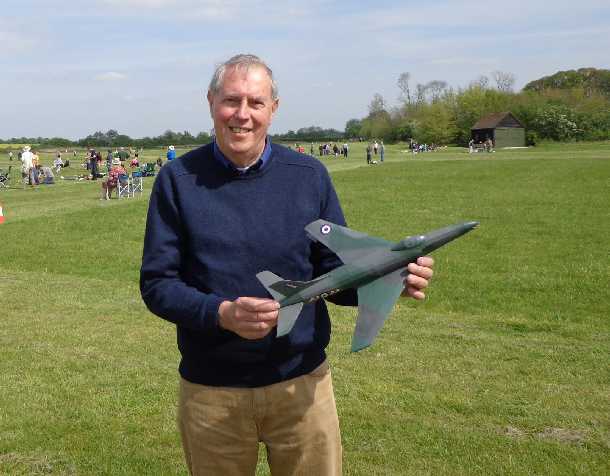 I hope the interest (and amusement) the jet models provided will lead to more modellers joining in. EDF is all very well, and I will post about this another time, but a rocket-propelled model, as it accelerates in its flight, leaving a trail of smoke, provides a thrill no other form of propulsion can quite match. 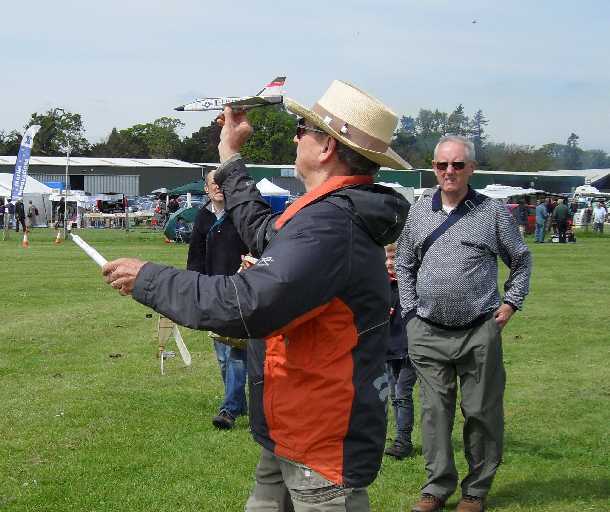 Below are a selection of evocative photos [mainly taken by Ruth Simmonds] of the jet action on Saturday and Sunday. Above: Dave with his (very nice) Jetex.org Wren. it's an excellent performer with L-1. (see the store). 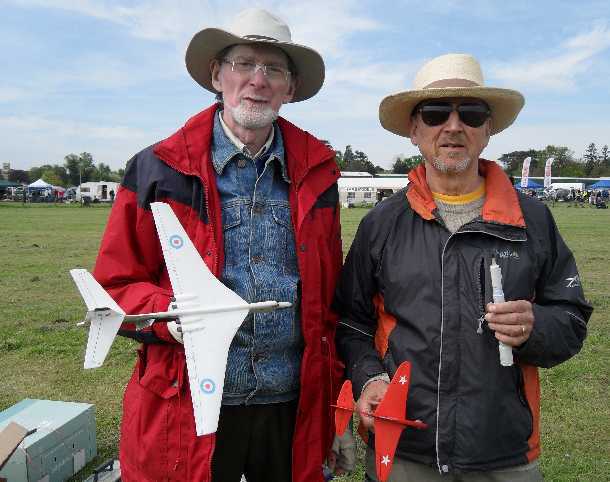 Above: John and Mark Digby are regular rocketeers. John's Junkers 128 for L-1 looks great in the air. 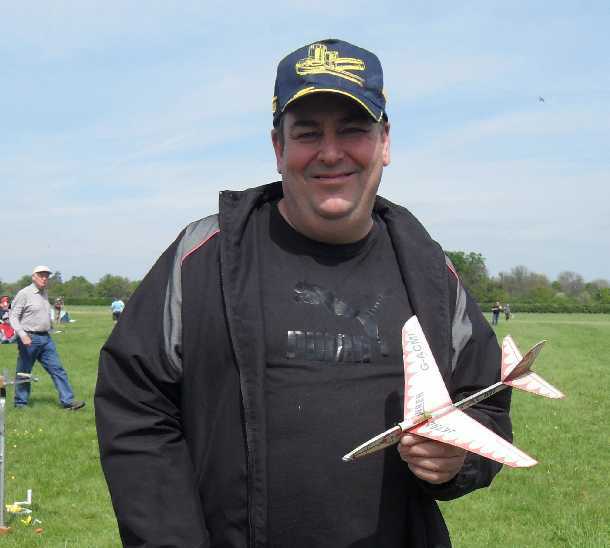 Above: Andy with his F-106 Delta Dart. A spectacular performer! Above: I do the honors for Andy. Note the use of modified igniter. Above: having lit up, I wait for the thrust to build up. I finally got my F-106 Dart to fly as well as Andy's! It needs the right motor, though, something with a bit more grunt than a standard L-2. Above: just a few of my profiles. Above Chris Richards Yak 15 for L-1. Above: Howard Metcalfe with just one of his marvelous profiles. 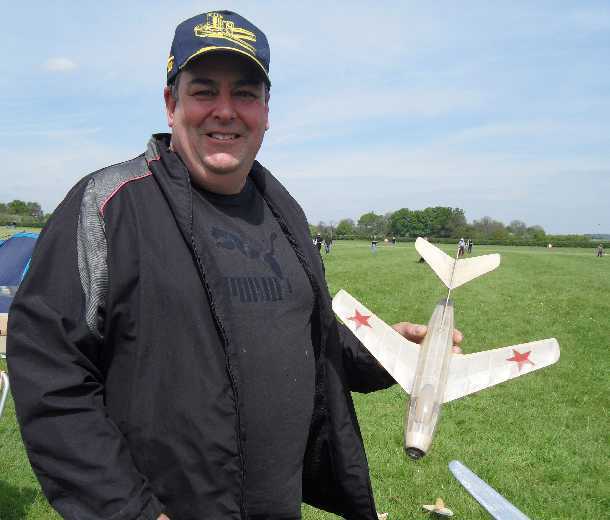 I'm holding Chris's Yak 15. Above: Lansen for L-1. It never missed a flight. Above: Chris's West Wings F-15 went well with an L-1 HP. Scary! 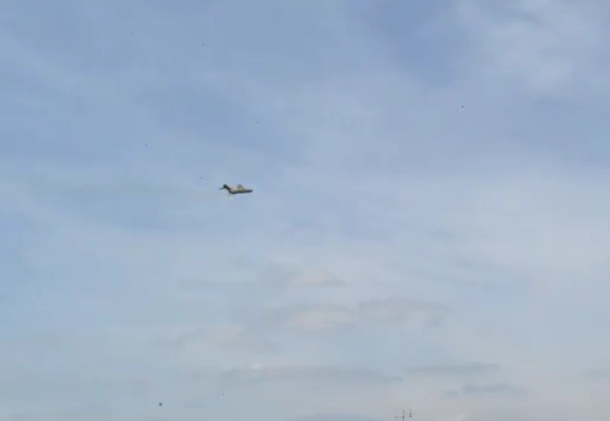 Above: Dave's MiG 15 in flight. 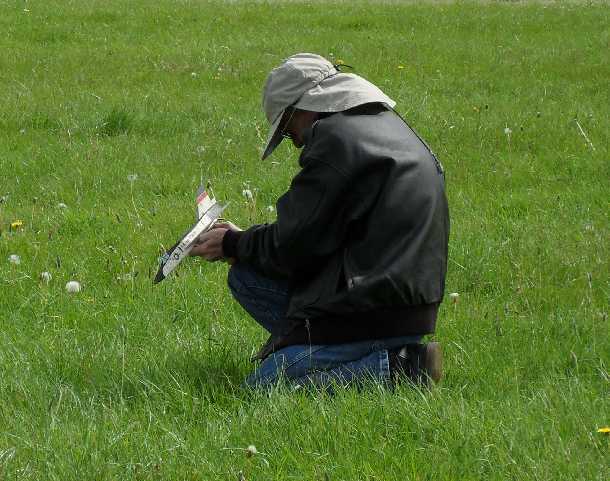 Lastly, thanks are due to 'Eagle eyes' Andy for all his model retrieving efforts over the weekend. Sorry if I've missed anybody. Please post in with your own photos and comments. The next meeting is in July. See you there? this posting is from John and Mark Digby, ace rocketeers. 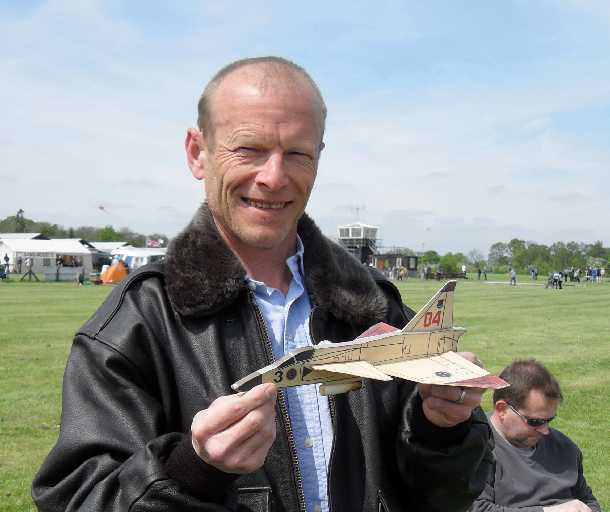 Mark's F-22 Raptor has long been on my list to do, and I do hope Mark will post something about his latest miG -35 in the 'models' section. To my shame, I didn't get to look at it properly at OW - seeing it only in the distance. Needs a spot of trimming, but very impressive. Links below to some video from Old Warden event. Last Edit: by rogersimmonds. Reason: Intro! Welcome aboard, great to see you both at OW. You might want to speak to Roger regarding embedding the videos as they didn't take. Look forward to seeing them. If it's still problematic or lengthy, it might be an idea to post on youtube then insert the http link? I've said it before, I'll say it again, you are a steely eyed missile man.